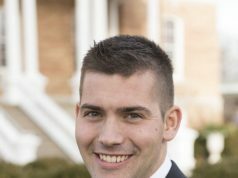 When Scot Bertram, the general manager of Radio Free Hillsdale 101.7 FM, came into work on Wednesday morning, he was greeted by three men dragging some­thing heavy out of the doors of Dow Hotel and Con­ference Center. He spotted limbs on what he orig­i­nally thought was a large piece of luggage, and as he parked his car a deer, wrapped in a red curtain moments before, bounded into the woods. 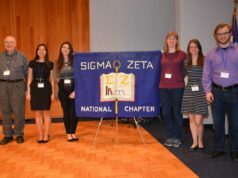 Shortly before 8 a.m. four members of Pi Beta Phi were cutting through the Dow Hotel to get to class when they saw a four-point buck crash through a window and into the under-con­struction area of Dow for­merly known as the Weigand Com­puter Lab. 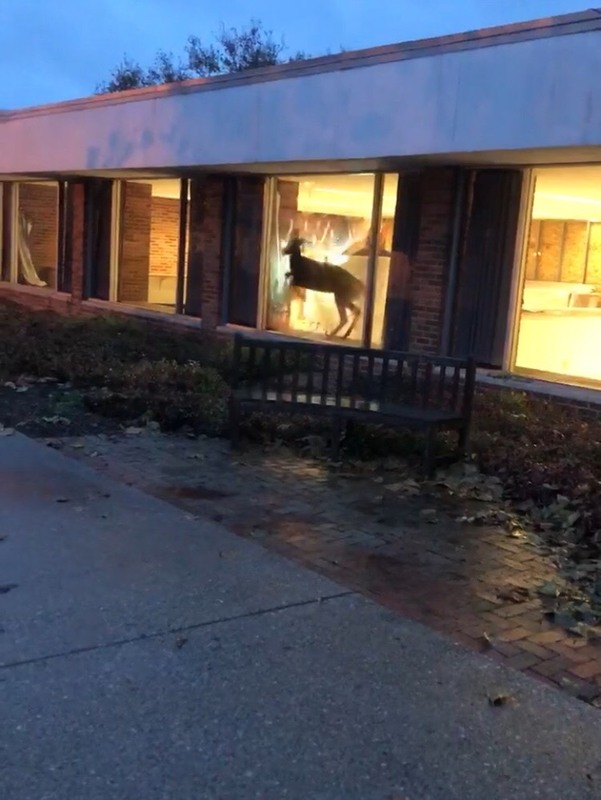 This is not the first time a deer has broken into a campus building. In 2012, a deer broke through a ground-floor window in Nied­feldt Res­i­dence, which was a women’s dorm at the time. Members of campus security and main­te­nance were able to wrap the buck in a red curtain and use it to calm it down and remove it from the building. “Our spec­u­lation is that because it’s mating season, it saw its reflection [and attacked it],” said Bill Whorley, director of campus security. 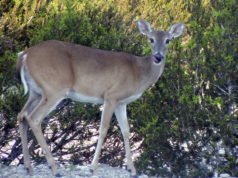 The three men were able to drag the deer by its antlers and release it. Although it sus­tained some injuries, it ran off into the woods, Whorley said. Tracey said the broken window had already been replaced and the blood cleaned up. “It was pretty short and sweet,” Whorley said. Is this a sly ref­erence to the fact that a certain male student did exactly that, 6 or 7 years ago? Or just a coin­ci­dence?